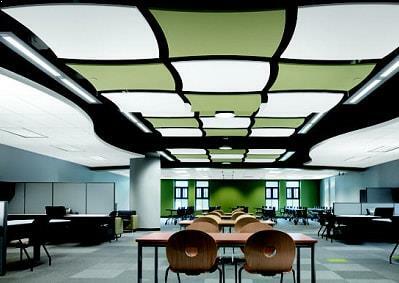 Acoustic Clouds allows you to unleash your creativity while reducing noise and reverberation. 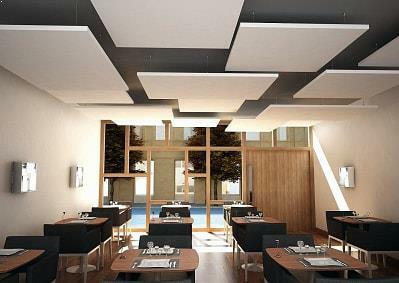 Adds dimension and acoustical control right where you need it the most. 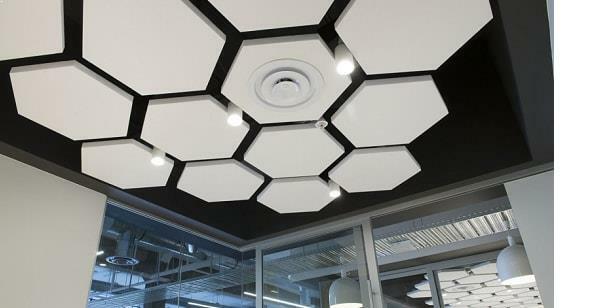 It also reduces echo, improves speech intelligibility, exceptional acoustical performance, mold-resistant, fire-retardant.Acoustic Clouds are a premium acoustic solution for keeping busy rooms quiet & echo free. as sound travels toward the ceiling and then as it bounces back to the floor – making it easier for you to hear what you want to hear. 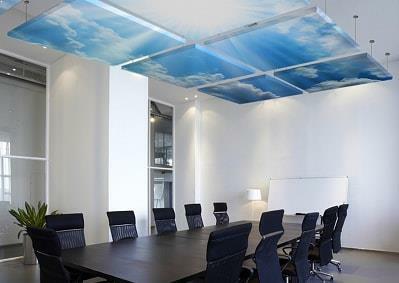 Industrial Clouds are perfect for the reduction of sound in ceiling areas. They are suspended horizontally with eye hooks (for panels up to 4′ x 4′) or T-grid attachment. 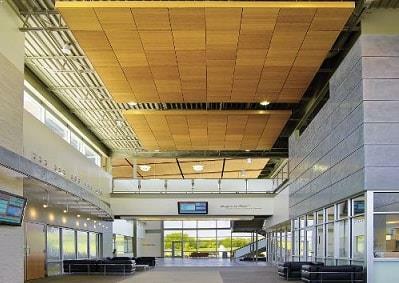 Commercial Ceiling Clouds is free-hanging fiberglass ceiling panel. It offers a high-recycled content (71% total, 70% post-consumer, 1% pre-consumer). The LEED calculation for this products recycled content is 71%. The acoustical performance of this product may contribute to points for a LEED project per that U.S. Green Building Council system. A Noise Reduction Coefficient of 1.0 means our clouds have the power to turn down the volume, absorbing 100% of the noise (on average), creating a much better sounding environment. 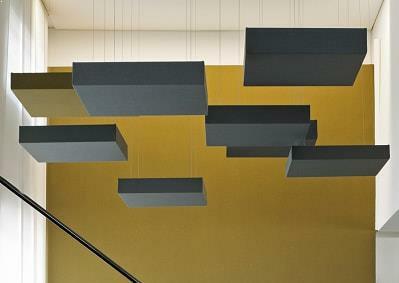 Custom Desing Cloud architectural feature that enhances the look of any room they are fitted. Every Custom cloud has a diffrent character.